Good evening everybody! Just purchased 986 (V1) and am learning as fast as I can. Much more complex than my 356, but a lot more car. Purchased as a daily driver at the absolute bottom of the market. Silver over Boxster red, and I found a factory hardtop the day before the car... same Arctic Silver. In Escondido, California, anybody local, how about a Saturday morning breakfast meet? Wouldn't last long, back to our Saturday obligations about 9... might be fun. Congrats! What year is your car? Details and pics! 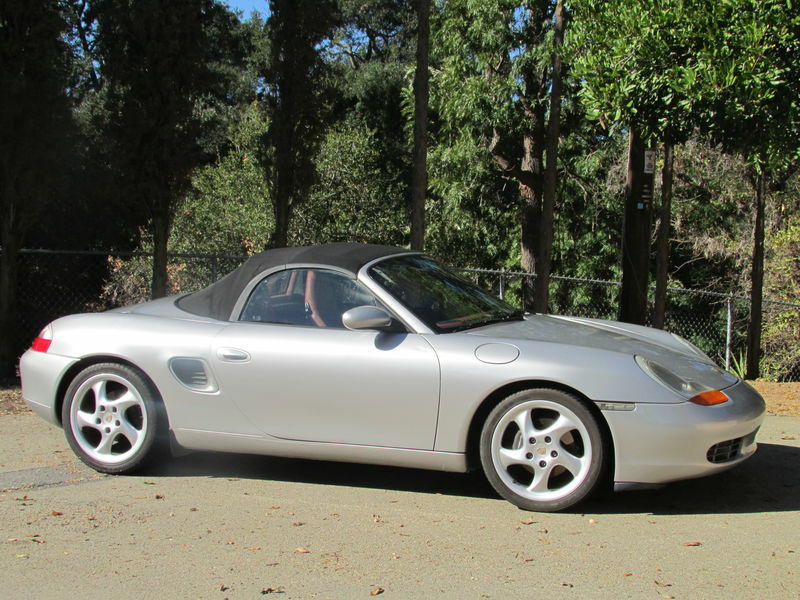 It's a '99, Arctic silver over Boxster red. 18 inch Turbo-Twist wheels, 5 speed, aftermarket nav, that I can't figure out how to turn on... from what I can learn, I'm the 4th owner, the previous two were not Porsche People. Can't wait to get the hardtop on, looking for the spin-locks. Runs very smooth but quieter that I'd like. Sticks like my 914's did, but I'm still feeling it out, nothing yet over 6 tenths. so far, I really love it!